While I was on vacation, I managed to get through some of my e-reader backlog, finishing one book I’ve been reading on airplanes for a while (it’s a collection of short stories, so it’s not as though I’ve been stopping a novel mid-way and forgetting about it until the next flight) and reading three others. One of them was a bit of a disappointment (and based on the reviews of the sequel, I won’t be bothering with it unless I can get it from the library), the other was so-so, but one I can actually recommend — Matchmaking for Beginners, by Maddie Dawson. I know “chick lit” is kind of a naughty term in publishing now and no one wants to be associated with it, but I think this really does fit the pattern of the British kind of chick lit — after her life gets upended, the heroine finds new hope in a new place among a quirky cast of characters. Only this is set in the US and she finds her new life in Brooklyn, as opposed to the British books where the heroine ends up in a village. But, really, this probably would best be described as magical realism chick lit. An elderly woman has become quite the matchmaker because she has the ability to actually see love, as though it’s a physical force. Not only can she tell which people are made for each other (or not), but she can see the things people need. Now she’s ill and dying but still has some projects left unfinished. Then she meets her great-nephew’s fiancee and can tell that this young woman is like her — and not meant for the great-nephew. When her relationship falls apart rather spectacularly, this young woman first tries to move on in a very conventional, safe way, until she finds out that her ex’s great aunt left her a Brooklyn brownstone containing a number of people who need her to use her gifts. This was a really sweet, fun romantic comedy full of endearing characters. It’s a very cozy book, just right for a vacation read. I know this kind of book often gets sneered at for being “fluff,” but I always find it inspiring, making me think about choices I’ve made in my life and what I could do to make my life more fulfilling while bringing joy to others. After reading it, I found myself wanting to be nicer to people and really pay attention to the people I encountered. 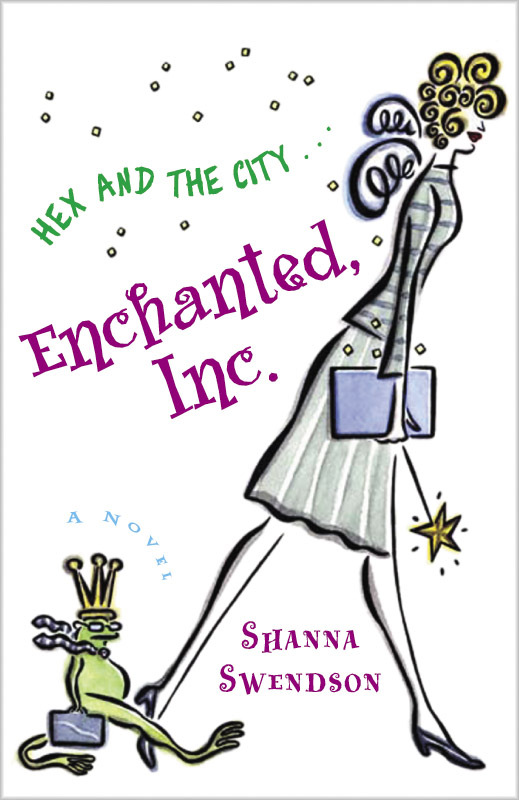 I think people who like my Enchanted, Inc. books would like this. It’s not outright fantasy with wizards and such, but there is a touch of magic along with the slow-burn romance and fun secondary characters.